In collaboration with Zurich Instruments, Oxford Instruments have launched the advanced SampleProtect measurement system designed for ESD protection. 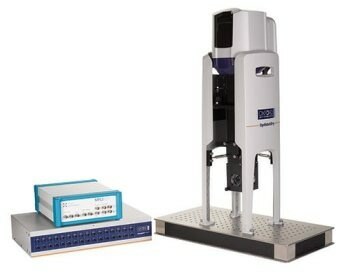 This system is optimized for opto-electrical experiments and sample characterizations. It protects sensitive samples from the electrostatic discharge damage throughout the entire experiment. As this 'out of the box' system is built on extensive measurement experience, it reduces the time taken to acquire the first experimental results and protects sensitive samples at all times. The SampleProtect measurement system comes complete with Oxford Instruments’ Cryofree bottom loading cryostat - the OptistatDry BLV, Zurich Instruments’ MFLI Lock-in Amplifier, a specially designed ESD break-out box, and high quality measurement grade cables. 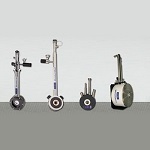 Oxford Instruments’ patent-pending puck style mounting ensures safe installation of users’ samples. The MFLI 500 kHz Lock-in Amplifier (capable of 500 kHz demodulation as standard) with MF-MD multi-demodulator capability provides excellent signal processing performance at low and medium frequencies. The MFLI’s differential voltage and current inputs are optimized for low noise operation, while the high oversampling rate ensures an improved signal-to-noise ratio. The unique LabOne® control software from Zurich Instruments provides a toolset including a spectrum analyzer, a parameter sweeper, a plotter, and an integrated oscilloscope. The SampleProtect measurement capability provides the benefits of the OptistatDry family to opto-electrical measurements. ESD damage to samples is a major problem for investigators working with sensitive samples, such as those working on quantum devices. They are often influenced by sample destruction, triggered by unwanted electrical charge, before the initial measurements are made. The SampleProtect measurement system protects the sample at every phase of the experiment and makes these types of measurements much more efficient. The unique electrostatic discharge (ESD) breakout box - included in all systems - protects sensitive samples. The solution is clean equipment and electrical grounds that discharges potential before damaging the samples.